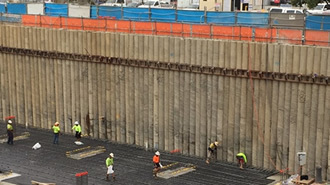 We are one of the most experienced and comprehensive providers of piling solutions to the construction industry in Australia. 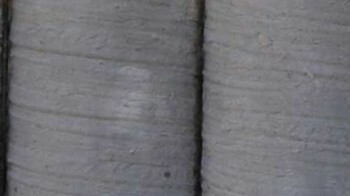 ASP distinguishes its interlocking sheet pile from its competitors by using a distinctive profile that is unique to ASP. If the sheet pile does not have our unique and distinctive shape, then it’s not ASP and you have an inferior product. 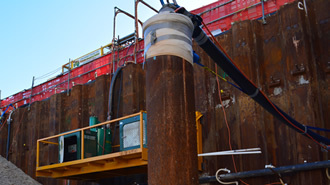 CFA piles offer a solid solution for combating vibration on sensitive sites. 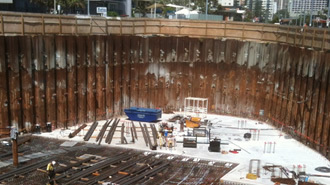 The term CFA (Continuous Flight Auger) describes the attachment used to drill and install this pile type. 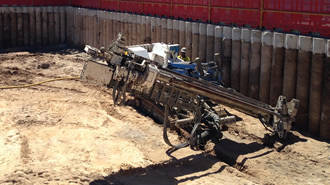 They are a non-displacement pile and are most suited to a granular or stratified soil conditions. 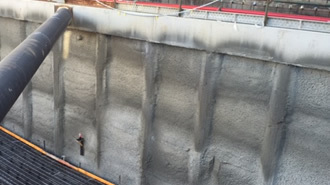 Revetment walls built using ASP Piling’s precast panel system offer supreme protection from erosion. 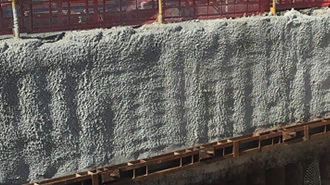 A revetment wall is a permanent structure designed to prevent the types of subsidence that commonly occur adjacent to waterways and the ocean. 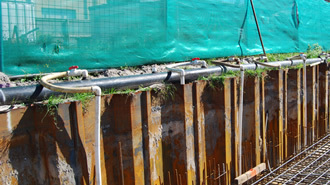 When sheet piling and other retention systems require ground anchors only the most secure robust system will do. 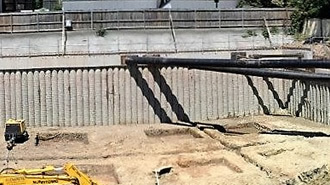 In-ground anchors are the strength behind the piling system. 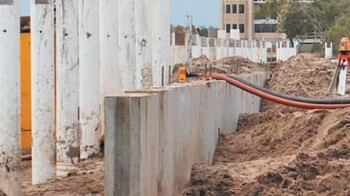 ASP Piling, the experts in ground retention systems, has designed and developed an anchoring system for ground and walls that is effective, economical and versatile. 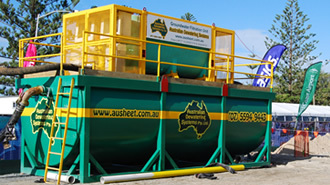 Australian Dewatering Systems is one of Australia’s leading service providers for the construction industry. 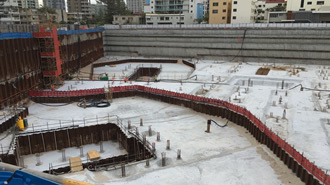 We source the best practice and technology from all over the world as well as creating its own patented systems to provide Australian developers and construction companies with the latest in-ground works solutions. 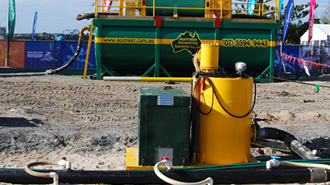 For construction sites where deep well dewatering is not suitable, Australian Dewatering Systems Pty Ltd (ADS) well point (also known as spear point) dewatering system is an effective and economical way to reduce the level of the water table to below the required excavation level. 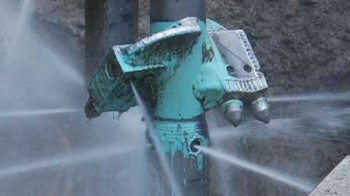 Getting the right advice and treatment for site dewatering is an essential part of every developer’s environmental responsibilities. 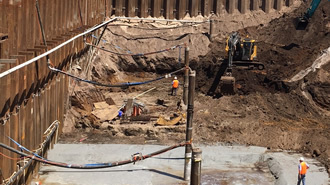 Australian Dewatering Systems (ADS) manages your complete construction site dewatering program, including ground well construction, baseline monitoring of surface and groundwater, construction phase water quality monitoring, and compliance reporting.